The biggest film event of the year is upon us in Busan, with numbers as astounding as ever: 324 films from 79 countries across 30 screens, including 140 world and international premieres. And for all its international flavor, some of the tastiest treats are in what’s down the pike for Korean cinema. Over the 10 days of the fest until Oct. 13, the Korean Cinema Today program will show 17 of the year’s highlights in local mainstream products, such as top ticket-seller “Along With the Gods: The Last 49 Days” and “The Spy Gone North,” which debuted at Cannes in May, in the Panorama subsection. Meanwhile, the Vision subsection offers 10 films among which nine are directorial debuts, five of them by female filmmakers. The Korea Herald screened four of the flicks ahead of the festival to get a sense of where Korean cinema is headed. The tight 77 minutes of family drama is broken into four chapters, with the first three mostly set in a single room. The Jung family of three adult sons and a daughter have gathered together to hear the reading of the will of their wealthy father, while he lays in another room gasping his last breaths. The siblings, with their respective spouses in tow, are quick to expose each other’s faults and slow to reveal their schemes, as they each have their own designs on what to do with what they think their share of the money should be. As they squabble, they receive a call from a disguised voice and discover a child of one of the couples has been kidnapped and is being held for ransom -- coincidentally for a sum equal to the total inheritance. The film unfolds into a sort of morality tale of a whodunit crossed with a heist film, backed by the mood-setting Spanish strings and folk songs that recur in the soundtrack. Tales of family malfunction and revenge for past wrongs have historically been common themes in Korean cinema, but Cha Sung-duk’s “Young-ju” approaches from a different angle. The movie opens with the film’s titular character on the cusp of adulthood, and her brother Young-in, four years younger, at home alone eating a fast-food dinner. Though still technically a child herself, Young-ju is the head of the household and has had to raise her brother since their parents died in an accident five years prior. Young-ju works hard and is kind-hearted and generous to her baby brother, despite being overburdened, self-sacrificing and short of good options. The situation is exasperated when Young-in is arrested and she must come up with the money to get him out of juvenile detention. 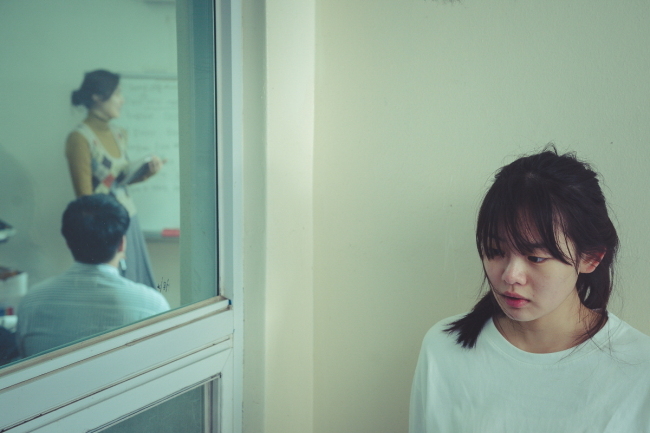 Looking through old documents, Young-ju gets the urge to find the dozing man who caused the accident and killed her parents, and soon finds herself working for his small family business and becoming like a daughter to his wife -- without having let on to their connection. “Young-ju” feels as if it will be about remorse and redemption, but its happy moments never cease to be complicated. The victims in the film are many, and the sympathy spread among them wavers. The story morphs to become about the festering of the wounds of trauma, and if those so injured can ever heal. Kim Jun-sik’s “Between the Seasons,” starring former model and veteran festival actress Rie Young-zin, is an early favorite for most memorable this year at Busan. 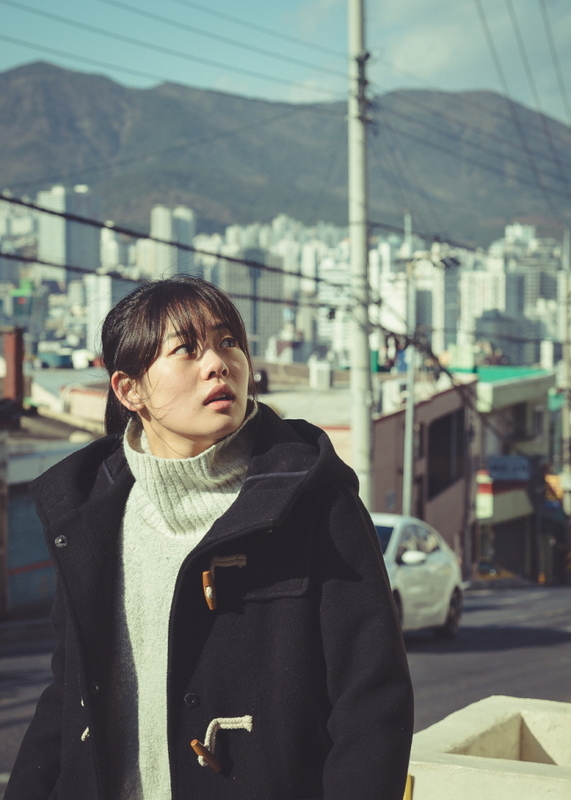 On the one hand it is a coming-of-age for high school student Seo Ye-jin, who escapes the drudgery of her studies by working her way into a part-time job at a coffeehouse, and pours her efforts into it. She learns about herself and discovers the directions her affections will take her. It seems at first unclear then why the narration focuses more on coffeehouse owner Han Hae-soo, played by Rie, than the dynamic student. It begins with Hae-soo starting her life in a new city where she has opened her business after leaving Seoul behind. The story for her is a woman trying to live the life she wishes to lead. While the newly bright and cheerful Ye-jin develops an infatuation for her boss -- to her an embodiment of independence -- Hae-soo tentatively steps into a relationship with a male cellphone salesman, provoking tinges of jealousy. Yet there’s more to the triangle. Rie’s performance from the beginning is peculiar and restrained in a way that builds and ebbs to, not exactly a grand payoff, but something that feels only natural. The film is littered with subtle nuance, yet also features its central messages coming from the characters themselves. “Sub-zero Wind,” written and directed by Kim Yu-ri and supported by the 2018 Asian Cinema Fund Post-Production Fund, is a clearly ambitious -- and overall successfully so -- film. The story begins at a church where 12-year-old Young-ha’s divorced mother, Kim Eun-suk, introduces friends in the congregation to her boyfriend. The mother then quickly ships Young-ha off in a moving truck to live with her father, only to discover upon arrival he had abruptly skipped town the night before. Despite the rocky start, flash-forward three years and the man introduced at the beginning has become the “dad,” as she calls him, Young-ha deserved. Eun-suk -- kind in appearance and tone, if prone to insensitivity bordering on cruelty -- has risen in the ranks of the church to pursue a religious career, though she faces her own difficulties. The story jumps forward another four years, exploring the impactful, often traumatic, episodes of Young-ha’s adolescence at 12, 15 and 19. These crucial moments are distilled and filtered onto the film. When there is hope and optimism, the church and Christianity loom large. Other times, moments of crisis and pain tear at the familial ties as motifs of abandonment and fear of being alone prevail. “Life is something you have to get through alone,” her cousin says in quoting Eun-suk to Young-ha, in what develops as a modern, reluctant coming-of-age.